You can acquire our wonderful cruise booking services and book the best cruises with us to experience the pleasures of cruising in the vast water bodies of the world. PR Travels books only top-class cruises for clients. 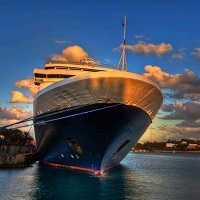 With us, you are sure to have matchless cruising experiences. Your comfort is our responsibility and we will ensure that every time we serve clients. You can acquire our cruise booking services in exotic islands in countries such as Singapore, Malaysia, Thailand, Greece, UK, USA and China.